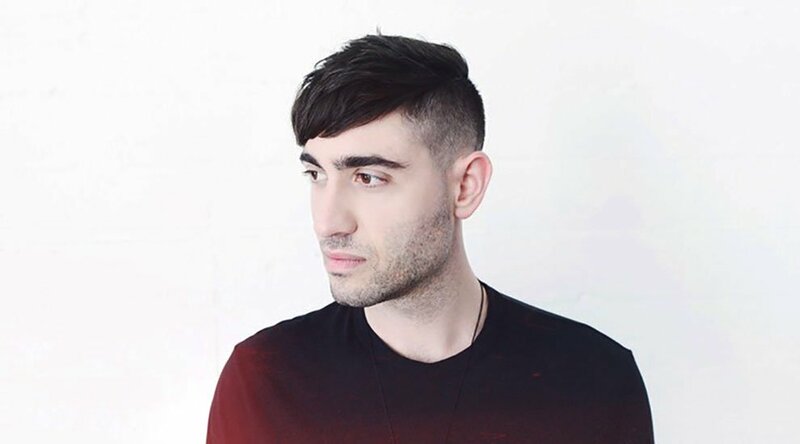 Independent DJ Justin Blau (known on stage as 3LAU) didn’t exactly stumble into the cryptocurrency industry — to say so would misrepresent how much thought he’s put into his blockchain-based event network, Our Music Festival (OMF). But at the very least, his introduction to the space came through a touch of serendipity. Blau became formally acquainted with blockchain technology and cryptocurrencies after a chance meeting with the Winklevoss twins at a music festival in 2014. The Winklevosses were making their own debut into the industry, as they were in the early stages of building their Gemini exchange at the time. After hitting it off with the up-and-coming DJ, they invited Blau back to their penthouse, a welcome alternative to crashing at an exorbitant downtown hotel, Blau admitted in an interview with Bitcoin Magazine. That night — and the blockchain-centric conversation that dominated it — had Blau hooked on the young and novel tech. Business moguls and financial thoroughbreds as the Winklevosses are, the encounter may have felt a little like looking into a rearview mirror for Blau. Before dropping out of Washington University in St. Louis to pursue a music career — a decision encouraged by one of his finance professors — he was in line for an internship fast track to Wall Street. Instead of following in his father’s footsteps for a career in finance, he set out to ride the momentum of his early days playing frat parties and college shows across the nation, a move that earned him the title “The DJ that turned down Wall Street” from Forbes. So in connecting with the Winklevosses, the doors of the financial industry were opened to him again — only this time, the door was to a niche and highly stigmatized five-year-old field. Still, this same door opened up the possibility to reimagine his current occupation under a new economic model. The answer became clear in August of 2017. After consuming crypto-related literature with voracious curiosity and attending blockchain conferences, Blau began mixing with some of the space’s leading innovators and professionals with help from the Winklevosses and some of his old college friends who had made their careers in tech. “I just had all of these people who were very powerful, making introductions for me, and that’s when I started diving in deeper,” he said. And Blau has found his place in the industry: on stage, both as host and performer, at the world’s first blockchain-powered music festival. Coming to fruition on October 20, 2018, Our Music Festival’s first iteration will be held at the Greek Theatre at UC Berkeley, with German-Russian DJ Zedd headlining, and Big Sean, Matt and Kim, and Charlotte Lawrence on the lineup, as well. At its inception, OMF began as an effort to tokenize live music events. In essence, Blau explained, its goal was to decentralize the entire process, giving fans a degree of control over lineup curation and even a share of the festival’s revenue. But as the space evolved and tokens entered the regulatory conversation, things became complicated. For its inaugural year, the festival will be blockchain-related inasmuch as fans will be able to pay for tickets in crypto as well as fiat. They’ll also issue paper Ethereum wallets to all fans once they check in to the festival, a gesture in line with the educational insight Blau hopes the festival’s blockchain/crypto information booths will offer to its attendees. Come next year, Blau hopes to integrate blockchain tech even further into the festival’s features. He wants to enable payments in OMF tokens, as well as to launch a reward system that allows fans to earn OMF by inviting friends to the festival, buying tickets early and committing data and feedback to the OMF ecosystem. These tokens will also be used for discounts and promotions within the festival grounds, and Blau even intends to leverage them to give fans access to their favorite artists, backstage passes and VIP experiences. In the far future, Blau wants Our Music Festival to tap into blockchain technology’s decentralized, peer-powered ethos to give fans a say in the festival’s lineup and a share of its revenue. But to get there, Blau and his startup must reason and reckon with the industry’s technological and regulatory growing pains. “We have to adapt as we go and that’s the biggest challenge for any company in an evolving space. Network scalability and regulatory environment are our biggest challenges,” he stated. From a legal standpoint, Our Music Festival cannot offer revenue sharing, lest the U.S. Securities and Exchange Commission (SEC) sees these payouts as dividends and its OMF token deemed a security. On the scalability front, Blau believes that the Ethereum network needs to mature before the festival can fully decentralize and implement more blockchain-driven functions. If the network fails for whatever reason and someone can’t get into the festival, it’s a huge loss for the technology as a whole. 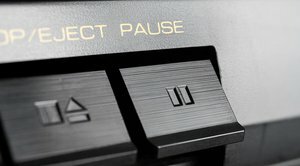 “In year one, we’re only going to start rolling out features if we know we can execute them. Because our biggest risk is the fan experience. If the network fails for whatever reason and someone can’t get into the festival, it’s a huge loss for the technology as a whole,” Blau reasoned. Helping him in his efforts, OMF features a stacked team of both music and tech industry professionals. COO Adam Lynn serves as co-founder and president of Prime Social Group, a concert and event company responsible for 900 events, 19 festivals and 400,000 ticket sales annually. Kevin Edelson, the company’s CMO, has a history of PR work for Universal Music Group and Red Light Management, among others. For smart contract and blockchain development, Our Music Festival leverages the work and talents of Zach LeBeau, Shreesh Tiwari and G. Thomas Esmay, the core team at SingularDTV, a blockchain studio that focuses on digital media and entertainment. Blau hopes that in bringing tech and creative professionals together, OMF will catalyze blockchain integration into the music industry. As for Blau, he’s hoping he can serve as a guiding intermediary between both industries. There’s a little bit of a disconnect between existing industries and blockchain startups and my goal is to be that bridge. To show the tech people and engineers what people like me need, to bring the music business a little more across the fence into the space. So that’s my personal goal — to be the bridge.